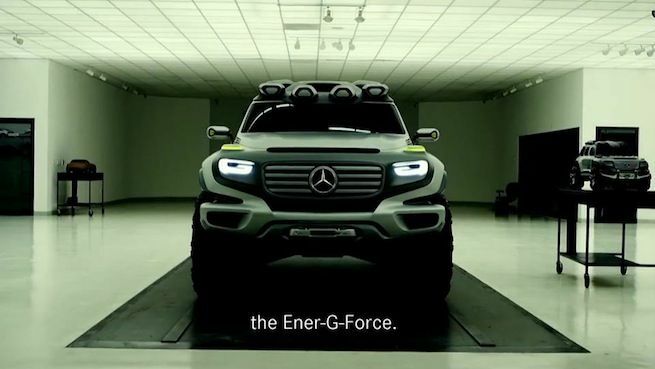 When Mercedes-Benz wants to test a new design strategy for their vehicles, they go to Carlsbad, California, call on a design team and out comes the Ener-G-Force. Because of the Mercedes-Benz Advanced Design Center in Carlsbad, California, new designs that do not conform to the rules like the Ener-G-Force are created. If you aren’t excited about the automotive world, you haven’t being paying attention to what Mercedes-Benz is doing. Ener-G-Force concept vehicle was presented at the LA Auto Show last year, and now has received an award at the German Design Award 2014. The all-new 2014 Mercedes-Benz S-Class was also a prize winner. The futuristic Ener-G-Force design study carries the genes of an off-road icon first built in 1979, the G-Class. The off-road concept vehicle will likely influence the off-road design idiom of Stuttgart's premium automotive manufacturer in the future. It was created here in the U.S. at the Mercedes-Benz Advanced Design Studio in Carlsbad, California. There is a multicultural design team of about 20 people who work at the design center where they primarily focus on new mobility concepts along with developing show cars. They get their inspiration from California because of its international flavor and unique car culture. Inspiration also comes from being so close to Hollywood and its cinematic influences. Ener-G-Force design is both modern and cool, and it gives a clue about a new beginning for the off-road design language from Mercedes-Benz. Even though Mercedes-Benz calls the Ener-G-Force concept “pure, rendered science fiction,” the designers at the Mercedes-Benz Advanced Design Studio were intrigued with what was taking shape. The design study was clearly inspired by the G-Class, but it is useful, emotional and more dynamic. Thanks to alternative drive systems, the Ener-G-Force was also designed to be exceptionally environmentally friendly and to demonstrate enhanced green-car characteristics. We can expect more new exciting designs like the Mercedes-Benz Ener-G-Force Concept off-road vehicle coming for the Advanced Design Center in Carlsbad in the future. It’s an exciting future indeed. Tell us what you think of the new Ener-G-Force. Watch Mercedes-Benz TV: Mercedes-Benz Advanced Design Center Carlsbad video. The new design language is very nice! Thanks for reading.